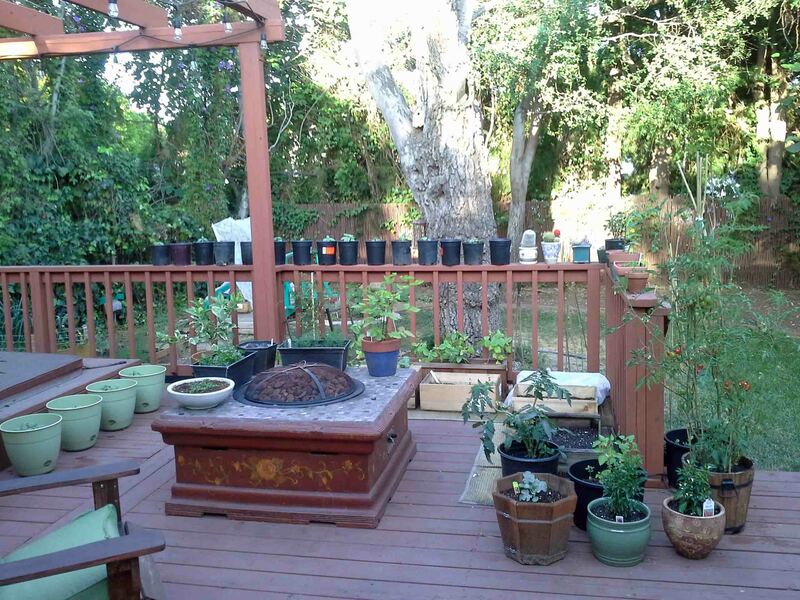 I live in Los Angeles on 6,400 sq feet of potential garden space. Take away the size of my house, garage, driveway and other unusable areas, and I probably have about 200 sq feet of in-ground space, 100 sq feet of container gardening space on the deck and about 200 sq feet of flower garden beds in the front yard. One day, my garden space may grow and take over the remaining grass that’s left, but for the moment I am growing most of my vegetables in portable containers made up of anything that can hold soil. My preferred irrigation method is currently a watering can, with the occasional use of the garden hose. My mother is a gardener and I’m hoping that it’s genetic, as my first stab at gardening began in September 2013. Prior to that I’ve killed every houseplant that has ever been given to me. Now, with a backyard, positive thinking and google, I actually made it through 1 full year of gardening! Here are some things that have done well in our SoCal garden and others that need more encouragement. Chili, Black Cobra (seedling): tasty. Hot. Rosemary (seedlings): Still going strong. Sage (various seedlings): Still going strong. Thyme (seeds and seedling): Still going strong. Tomato cherry (seed): Had several good harvests. Chili, ghost (seedling): burnt. Now they are ghosts. Cucumber lemon and pickling (seed): burnt. The Japanese cucumber gave us 3 fruit. Salvia (seedling): Burnt to a crisp. Asparagus (crowns): Probably won’t be edible for 2 years. Blackberry (bare root): Had a few flowers but then got burnt by the heat wave. I think I killed it. Bunching Onion (seed): Still sprouting. About 3″ tall now. Collard green (seed): They are getting pretty big. Lemon, variegated (2 ft tree): Not doing as well as the Eureka lemon tree. Pomegranate (5 ft tree): Made 3 fruits in first year; still sprouting. Sorrel (seed): up to 4″ now. Watermelon Radish (seed): Ate 3 radishes before they bolted. Followed you here from your visit to our blog. I am so glad you visited so we could come and enjoy your great blog. I love all the information you have listed, very interesting. I hope you enjoy your journey with hands in the dirt and don’t get discouraged. If something doesn’t grow, it just leaves room to plant something new. Thank you for the encouraging words! Gardening is definitely teaching me patience and at least I get to eat some vegetables along the journey. I loved reading your list! I am journaling Old Skool on paper what I plant and when and the amount of rainfall. I like your idea of a summary assessment of what did and did not work. I too am having trouble coaxing the Anaheim chile seeds to sprout, and the poor beets were stripped almost bare of their leaves, most likely squirrels like yours. The beets are trying to make a comeback, though. I’ve decided part of my problem with trying to start with seeds is the type of container I used. I’m planning a change to flats next time. Thank you so much! I started keeping my list on paper too but kept adding and subtracting plants so I found the electronic list to be easier for me. My shishito peppers are the only peppers I’ve successfully started from seed so far. All of my other peppers have been seedlings to spare me the anguish. If you ever uncover the secret to starting peppers, please share! Best of luck to your recovering beets. Hopefully they recover from the squirrel attack. You’ve certainly tried a lot of plants for your limited space! Peppers take longer to sprout than many other vegetables, but I’ve had a lot of success with them. 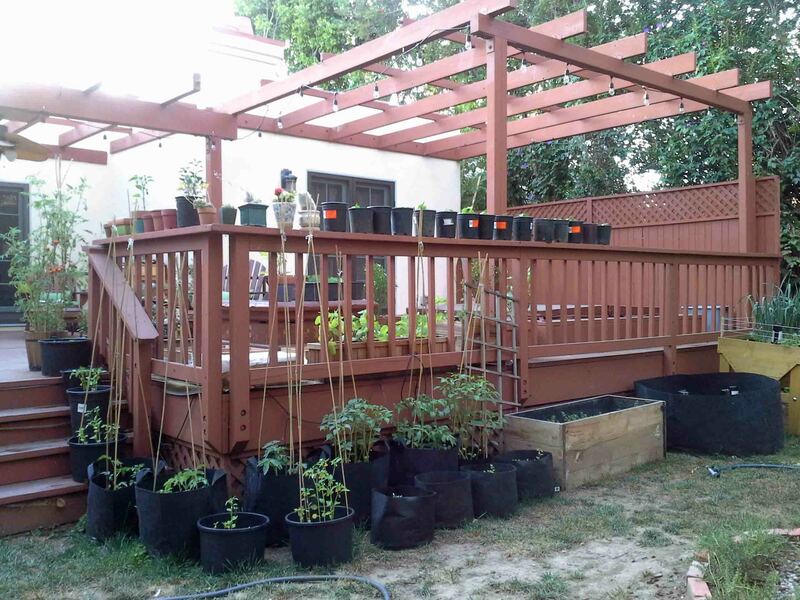 How does the California drought affect your gardening? Thanks! I like variety so I try to grow small amounts of different vegetables in succession so that helps with the space issue. As for the drought, we’ve let our grass die out and hand water the raised bed to reduce water. 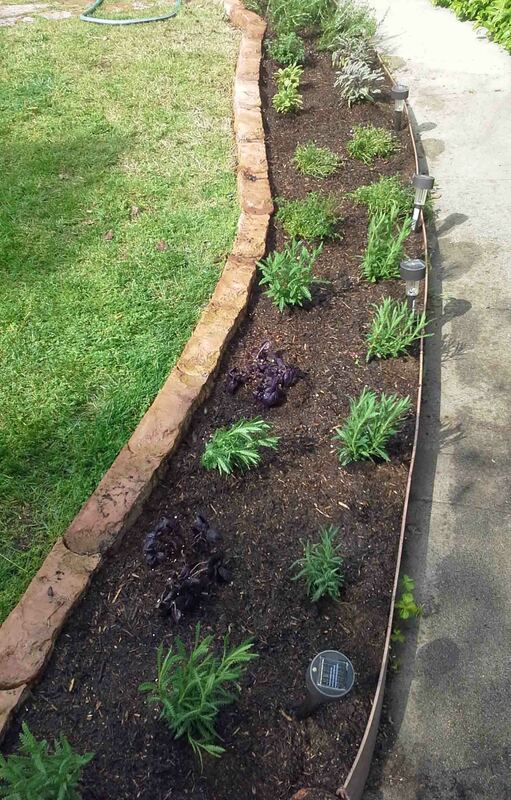 I replaced our front flower bed with perennial herbs like rosemary, lavender and lemongrass which seem to do well with very little water. I also try to reuse extra water from the kitchen from washing vegetables, etc in the garden. Hopefully the drought gets better soon but it may be awhile! It’s amazing how many different crops you are trying. Way to go! Exotic garden. I am also an experimental gardener. I’m impressed with your variety. I live in the Midwest so the plants are somewhat different than yours. I have found that high numbers help my growing odds as well.